The last 36 hours have been a period of queasy existential unease for many (if not the majority of) people in this country. Picturing the Trump administration has meant envisioning the people that surrounded him on the campaign trail taking powerful positions in our federal government. In the wake of Donald Trump&apos;s upset victory, advisors have floated the idea of naming Jamie Dimon as treasury secretary, according to two people familiar with the matter, but one of them added that the JPMorgan chief has said he would not be interested in the role. Upon this story breaking, Twitter lit up with reflexive outrage and snark from both sides of this fractured nation. The CEO of the nation&apos;s largest bank taking over Treasury is the exact opposite of Trump&apos;s outsider "Drain the Swamp" campaign rhetoric so choosing Jamie would be an effective betrayal the populist "movement" that got him elected. 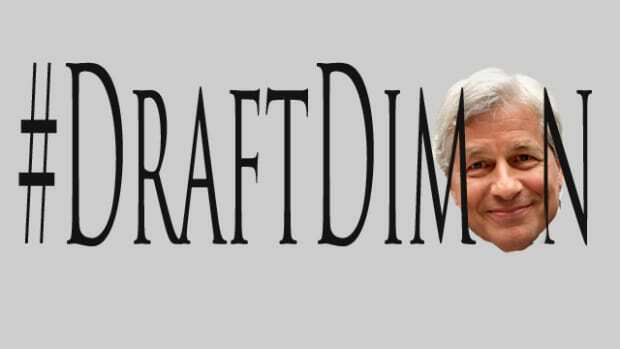 On the flip side, Dimon also the perfect choice to make if you want progressives to spontaneously combust from righteous rage. 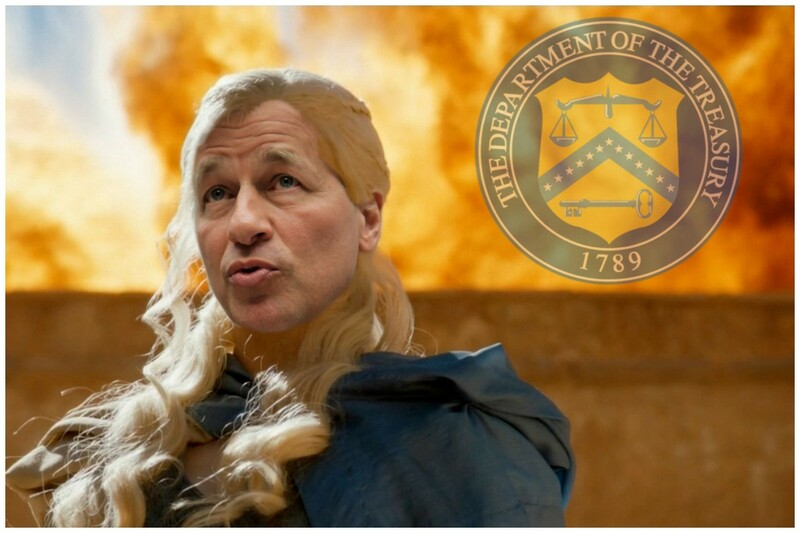 But here at Dealbreaker, we have only one problem with the Khaleesi of Wall Street becoming Trump&apos;s most powerful economic advisor; he probably won&apos;t do it. 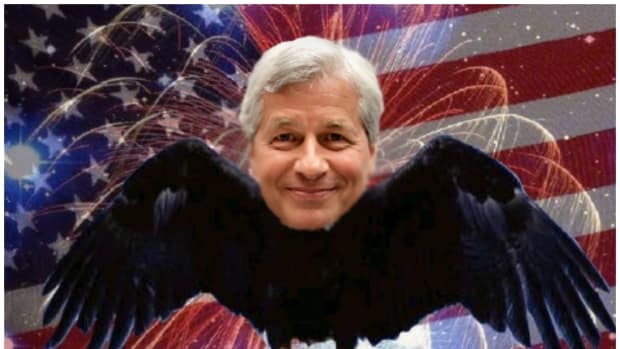 Admit it, while the idea of Jamie Dimon running Treasury might have caused you to roll your eyes or yell something 48 hours ago, it kind of feels great at the moment, doesn&apos;t it? The President-Elect has yet to vocalize a cogent economic policy more than once during his 18-month long campaign, and his current coterie of advisors is filled mostly with scandal-plagued, oddball yes men. Jamie Dimon knows something about banking, and he can build a team of experienced economists and financiers way more easily than Steven Mnuchin ever could. Also, and perhaps most importantly, Jamie Dimon is not a yes man. President Trump is going to need a lot of managing, which will be difficult considering he isn&apos;t much of a listener. People listen to Jamie Dimon, and he speaks Queens english, a language The Donald understands. It&apos;s impossible to envision any possible scenario in which Jamie Dimon is bullied into using the Treasury Department to do something petty at Trump&apos;s bidding. We can&apos;t say that about any of the other names that have cropped up so far. 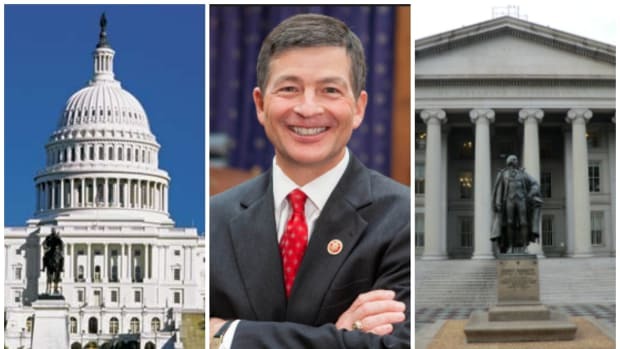 So, yeah, you can rend your garments and bemoan the notion of what it means to let a fox like Jamie Dimon run amok in the hen house of the US Treasury Department, but we&apos;ll leave you with this: Would you rather let a sheep guard the hen house?